These flowers from the photos are very beautiful. I'm sure the plant will survive and will be even more beautiful next year. 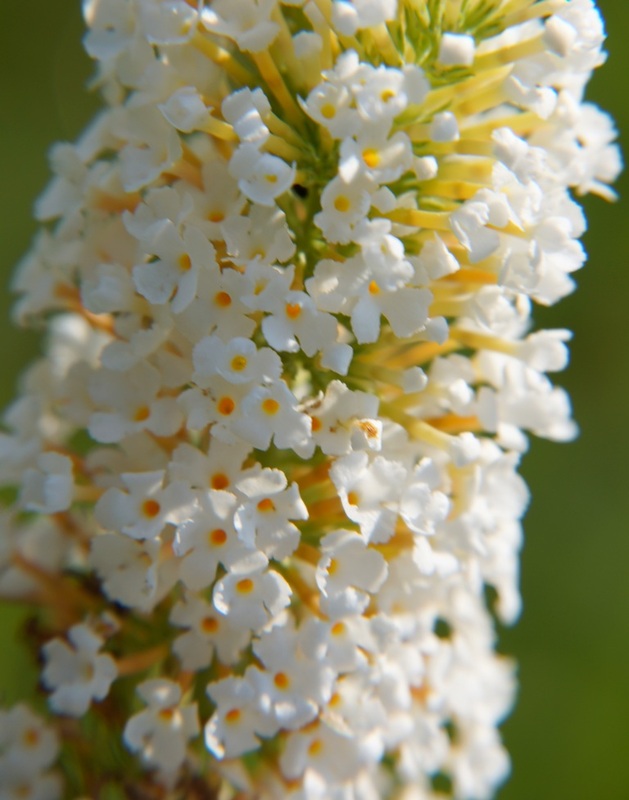 Here by us the flowering season of the butterfly bush is over at this time. Hi Misty...what a lovely story,and lovely photo with buterfly too boot! How scary about the tornado!!! That is amazing that the day feel like that!! I am very lucky to have had rain an can keep my big water barrel full for my hanging plants, and the gardens!! I have several colors of butterfly bushes, yellow being my favorite, but have never seen a white one. It's really pretty. I hope it survives this winter. I have heard of these but never have seen one. Now I want one for myself. Great captures! Hope next year to see more beautiful shots. 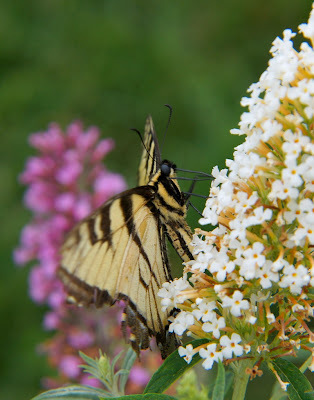 That's a beautiful butterfly bush and cool that you caught a butterfly on it. Mine is in terrible shape this summer from the heat but still alive. I love your azalea shots on the home page of Today's Flowers. Fiquei apaixinada por suas flores!